With people spending 90% of their time indoors, it is vital that we create and maintain buildings that enhance well-being. There are more than 80,000 chemicals in use today, many of which are unregulated, and are associated with long-term problems on our health and the environment. Harvard is committed to enhancing the health, productivity, and quality of life of our students, faculty, and staff by making smart, informed decisions about the design and maintenance of our built environment. As outlined in the Harvard Sustainability Plan, the University is committed to reducing the community's exposure to toxic chemicals, identifying and tracking high-risk chemicals in building materials, and targeting at least two significant chemicals of concern and developing a plan for eliminating exposure. Across Harvard’s Schools, faculty, are generating new discoveries about the effects of unregulated, harmful chemicals on public health and the built environment. As part of a multi-year collaborative research initiative involving the Office for Sustainability and the Harvard T.H. Chan School of Public Health Center for Climate, Health, and the Global Environment (C-CHANGE), public health researchers are using Harvard’s offices and dorms to test their research in indoor building environments, generating a greater understanding of how best to optimize the indoor spaces where we spend 90% of our time so that we can enhance well-being and productivity among occupants. 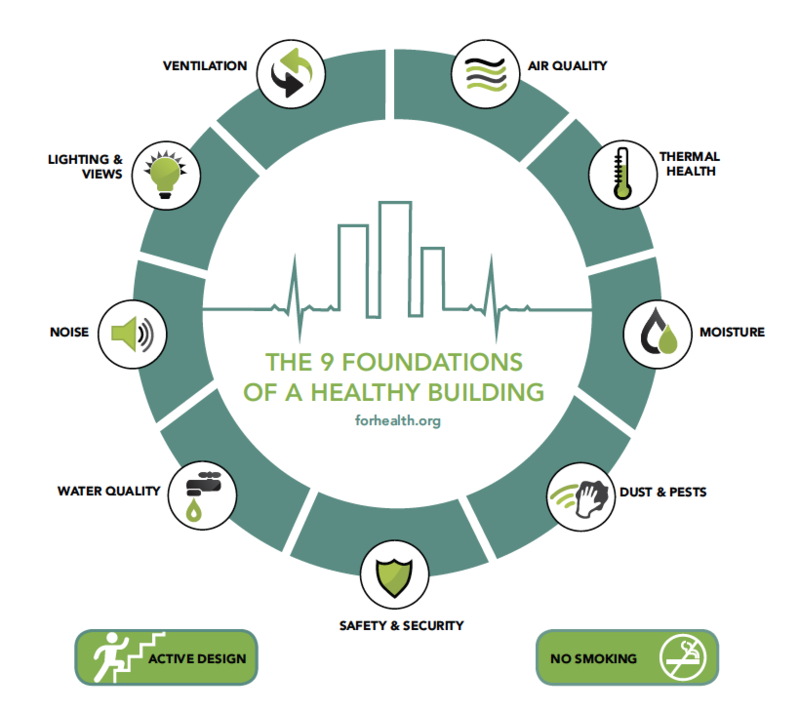 “The 9 Foundations of a Healthy Building” was created by a multidisciplinary team of experts from the Healthy Buildings Program at C-CHANGE. The Office for Sustainability is collaborating with the researchers to pilot the 9 foundations through a living lab project in our office space. Harvard is also partnering with non-profit research groups to not only understand links between health and exposure to certain chemicals, but to identify and prioritize areas of concern. We are working to educate and inform our community by offering trainings and materials that mobilize action. As a first step, our University-wide Green Building Standards were updated in 2014 to include healthy material requirements for the disclosure of health and environmental impacts of products that are used on campus in order to help us assess opportunities to understand the community’s exposure to potential toxins. That same year, Harvard issued its first Sustainability Plan and included Health and Well-being as one of its five areas of focus. The Office for Sustainability then brought in scientists from Harvard and the Green Science Policy Institute for a series of educational forums attended by over 100 key stakeholders across campus that provided an overview of the research proving a health risk from these chemicals of concern and the role individuals can play in reducing exposure. The 2017 version of the Green Building Standards, now goes beyond just transparency, and optimizes for health by specifically addressing specific classes of chemicals in select building products. In 2016, the Office for Sustainability was awarded an inaugural grant from the President's Administrative Innovation Fund to establish the Healthier Building Materials Academy. The Academy aims to bring the University's decentralized project management and purchasing community together with external vendors to create a pathway for reducing the use of chemicals of concern in the University's built environment. 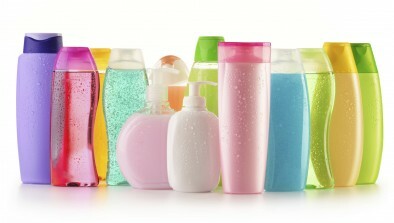 In collaboration with our public health and engineering faculty and facilities teams, the Office for Sustainability is partnering with ten capital projects and many smaller projects across our Schools and departments to identify, purchase, and pilot healthier materials as transparency related to chemicals of concern increases. In November 2015, Harvard became the first university to sign a national pledge stating a preference for purchasing chemical flame retardant-free furniture. Other signatories to the pledge include Kaiser Permanente, Facebook, Blue Cross Blue Shield Massachusetts, and Autodesk. The Office for Sustainability is partnering with Harvard capital project and planning teams, Strategic Procurement, and Environmental Health and Safety to identify and source chemical flame retardant-free furniture across the University, and in accordance with regulations. By demanding transparency and holding our vendors accountable we are working together with peer institutions and the private sector to change the landscape. In 2018, the Office for Sustainability joins Harvard T.H. Chan School of Public Health's new Center for Climate, Health, and the Global Environment (C-CHANGE) in a collaboration with Google that will seek to reduce the use of harmful chemicals in building products and materials used in construction and renovation projects. We will work together to develop a set of public tools and resources that use the latest scientific research to inform decision-making by large institutions, purchasers, and manufacturers to help transform the marketplace to healthier alternatives. In 2016, Harvard signed on as a founding partner of Portico, a new tool for healthier materials analysis, developed by Google and the non-profit Healthy Building Network. In 2014, in collaboration with Harvard T.H. Chan School of Public Health, Center for Climate, Health, and the Global Environment researchers, and the Silent Spring Institute, the Office for Sustainability helped found the Healthy Green Campus project to better understand the prevalence of harmful chemicals on campus and to make health an integral part of sustainability practices on college campuses.